Not to mummy. Not to daddy. Not to Little Bean. You are our whole world and everything in it. Each eccentricity, each little quirk and trait – they are the rich and joyful substance of our lives. We know no ‘normal’ but the world we inhabit with you. And, to us, it is perfect; we would want no other. Not a single being on this earth is exactly the same as another. However close or far apart someone else’s life seems, there are always things that we will struggle to understand about each other. That is a reality of what it means to be human. But your differences begin to stand out more and more, every day; the cloak of your youth is beginning to lift and your peers are starting to be aware of behaviour that is strange to them. I see the glances from parents as they notice the stiff, bright lip of your nappy creep above your waistband. Very soon, you will be four. Too old, those glances say. He is too old to be in that nappy. I wonder why his mother hasn’t made sure he is potty trained before now. I was once told that there was no such thing as a child who was late at developing the skills to potty train – not if they could speak and understand asking for a potty. Past two years of age, they said, it is a reflection of the parent’s laziness, not the child’s inability. And I felt the burn of shame, despite the knowledge that it was not true boiling fiercely and silently within me. In the supermarket, a slightly older boy and his brother are wind-milling and skipping around their mother. They wander over to you, and he speaks. You stim, squeeze your hands close up to your eyes and contort your face as if you are in agony. You are so excited that he has spoken to you. You gesture towards yourself, clumsily, your whole hand forming a point. “This boy… this… boy… this boy is H’s brother!” you struggle to get your words out. I recognise all the quirks of your conversation. You have mimicked what he has said, the information he has provided, but you do not understand the purpose of the conversation. Your mind follows a slightly different script. The boy frowns. He doesn’t understand why you have said what you said. He doesn’t understand why you pulled such a strange face. He turns away. “Bye!” he yells again as he runs off. You stim again, still so excited. You do not understand the rules that were broken, the judgements that were made, even from so a young mind. You are still just delighted that he spoke to you. But one day you will know. And my heart could almost break, sweet boy. My heart could break to see your desperate desire to join in be so thwarted by the quirks that make me love you all the more. The conventions of conversation come so easily to others; it is almost impossible for them to imagine a world where those unconscious rules are so alien. The children at nursery are afraid of your stimming. They think you are angry with them, or aggressive – when the opposite is true. You are delighted by them, by everything they do, by every word they speak to you, by everything you observe and learn from them. I wish I could show them, I wish I could explain that you are so sensitive, so kind, so desperate to be their friends, that if they could just accept you, accept what is strange, their lives would be so enriched by having you, being with you – but they are only three and four. There is no way to force that understanding. Only time, and patience, and failing – failing many times – will eventually lead you to those who will see what I do. Sweet boy, truthfully, what hope do we have of sparing you from these judgements? There is not enough opportunity, enough time in the whole world to educate all of those who would flinch at your exquisite oddities. There is no way that autism can ever be wholly accepted, no way there can ever be enough awareness – because the majority will always be less aware of the minority. But I hope by writing, by fighting, by helping you carve out a well of understanding, as you grow, there might be less fear, less judgement. And, precious child –who will know what it is to be different more than most – I can help you learn to accept others in all their glorious uniqueness. And the world will be a better place for your presence in it. To read more about our autism journey, you may wish to read ‘Autism? More like bad parenting’. What fantastic words, if both children and adults were made more aware of autism they would understand that your little one is this sweet child. So what if he is still in nappies it really doesn’t matter as long as he is happy and healthy . Wonderful post!! People tend to be scared of things they don’t understand and there certainly isn’t enough awareness about autism around. Every single post on my site is in some way meant to raise awareness, if adults are more accepting then chances are there kids will be too. There’s nothing wrong with being different, it can be an amazing asset, but kids have to be given the opportunity to understand different is not less, it’s just different. And it’s easiest to do when they are young. I do a lot of facilitating interactions with the kids, interpreting for them when they need it and standing by when not 🙂 My first ever post was about just that. Thanks so much. I will take a look. It’s tough for me to know how to react sometimes. My instinct is always to intervene, to try to help understanding but I know that’s not always going to be the best way to help! Thanks so much for such kind words . I really hope so! Thank you so much for commenting and for such kind words. It’s difficult as I think we’re programmed to be wary of anything different. Hopefully we can spread some awareness though! Thank you. I am glad it made you feel a little better. You’re not alone! This is such a deep post. It brought me to tears. Good you are raising awareness. Beautifully put, and perhaps those children who grow up with ours will have an innate understanding and acceptance. I do hope so. Danielle, I actively seek out your posts in the linkups now because you move me and your words are always so heartfelt, beautiful and powerful. Mother’s can recognise the fierce. protective, unconditional love for a child but you have so much more reason to seek to protect and to have others understand the beautiful nature of your precious boy. Your thoughts and words on autism, your plea for understanding and acceptance should be read more widely. I thank God he is part of YOUR family. That he is in the right place, a beautiful place of love and acceptance with all of you. 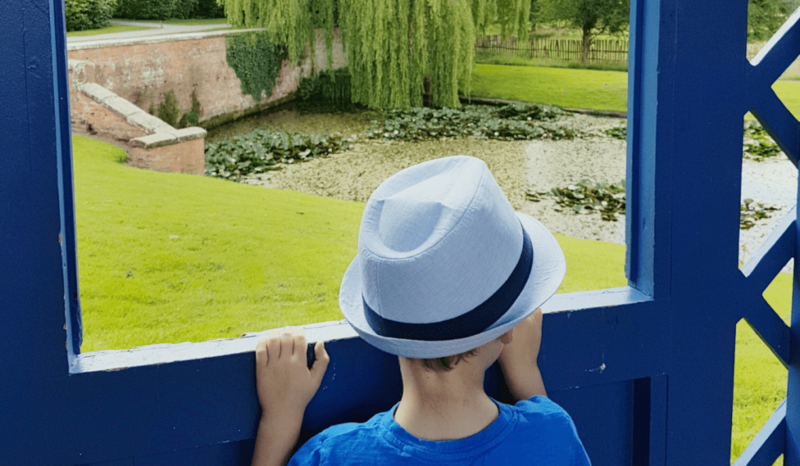 I hope you will think of submitting this to BritMums or MumsNet or Huff Post or perhaps one of the autism charities or somewhere that will share it with a wider audience. Such a beautiful heartfelt post. I think these days are a lot more understanding than those in the childhood I grew up in. Children see and experience a lot more and are therefore more tolerant? I hope. Beautifully written and moving. I love what you say about the cloak of youth because I do think there is a lot of acceptance in young children – do the nursery workers support you in educating the other children and helping them understand they way your son expresses his excitement? 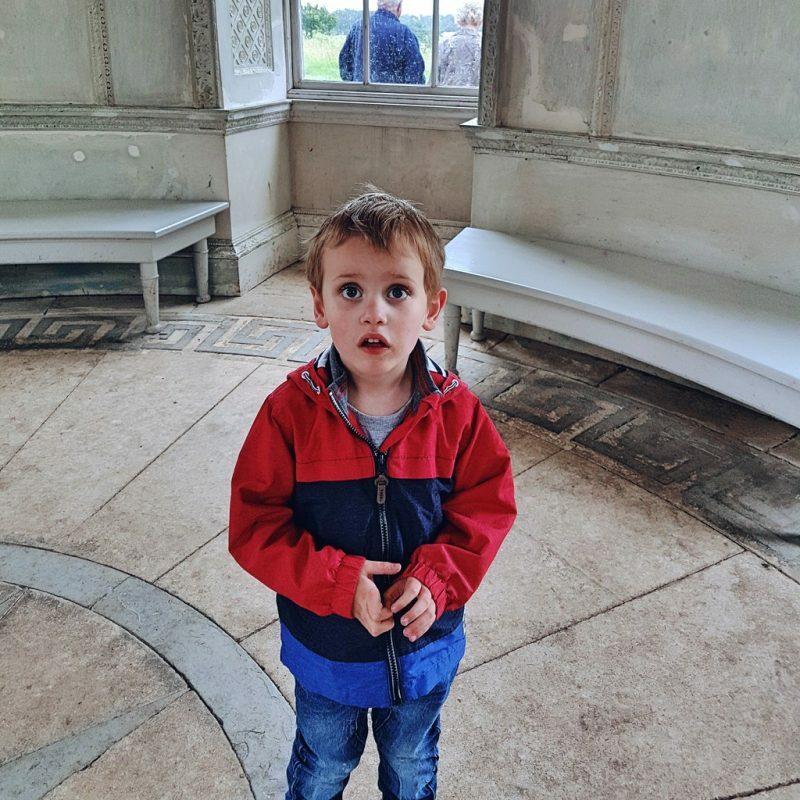 Everyone is different, like you say, and I expect my son (with his open and as yet unjudging mind) to learn about his friends’ backgrounds, traditions, illnesses, likes, languages, challenges, quirks etc – just as they will about him. Of course he will need some support in that if something unnerves him but he has nothing to judge against so any negative emotion (fear or shyness/uncertainty) can quickly be transitioned to something else – I do speak from experience, not just theory…although of course it’s experience just with my son and under my care with people we know. It’s heartbreaking that you can’t make everyone in the world understand and you so eloquently portray the feeling of protectiveness in those moments. These words are an echo of what I carry I carry in my heart towards my own child. I could cry at the hauntingly beautiful and yet heartbreaking words. I pray to God for happiness for our children and us parents who have been gifted with “these” children…. Beautifully written as always. You truly do have a way with words. So beautiful! Brought me to tears. I relate so much to this. My son will be 4 next month, also not potty-trained yet, and he gets so frustrated with his social problems. Wow – I’ve just cried reading this. What a gorgeous boy and what an amazing caring and proud (quite rightly) mummy you are. Congratulations on a beautifully written and heartfelt post and thanks for sharing your experiences so honestly – hopefully it will help many others out there and educate many more. A tear escaped reading this, my 4 year old is at the start of his autism journey, if that’s what I can call it?! (not technically diagnosed yet, but suspected asperges has been mentioned). At the moment it just feels like a whole lot of waiting, for appointments, observations and truth be told I’m feeling a little lost in it all! Back to the point of my comment, me and his dad had a moment at Connor’s recent graduation from nursery. We witnessed him for the first time amongst his peers, my heart could have broken for him, your supermarket scenario is almost a play by play of what ensued! This is such a beautifully written piece about such a heartbreaking subject. It made me cry when you said about how thrilled your little boy was that the other boy had spoken to him. How I wish people (adults) were more understanding – I know that it’s hard for children to be. I love how you are bringing awareness in such beautiful way. I hope people realize exactly that. We are all different.